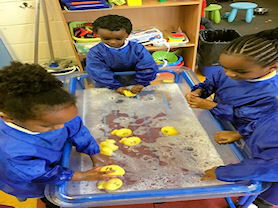 Have you applied for a Nursery place for your child for September 2019? 15 hours are free for all 3 to 4 year olds. Come and visit us! Please contact Mrs S Yamen in the school office for more information. 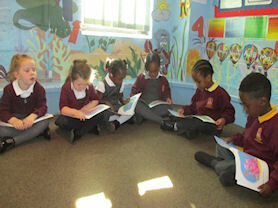 Welcome to our Nursery, also known as the Foundation Stage, the first steps of your child's learning journey at the Oratory. Every child deserves the best possible start in their education and through parental or carer and teacher support they can fulfil their potential. The Nursery year will lay the foundations to enable your child to become an independent and self-motivated learner throughout their whole school career. 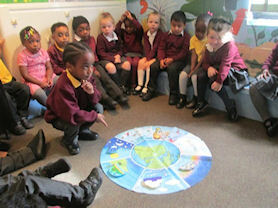 The Nursery team is led by Mrs Glanville and supported by Miss Shah. The phase leader is Mrs Lloyd (currently on maternity leave until July 2019). 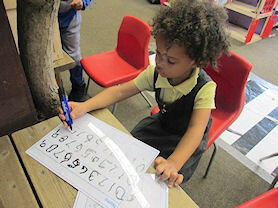 In Nursery all children have a personal on-line Learning Journey which will contain observations, photographs and videos documenting key moments of learning and progress. Parents and carers can view their child’s journal on a variety of electronic devices using a secure login system. One of the fantastic features of Tapestry is that parents and carers can add observations and ’wow’ moments from home to their child’s journal. This provides the school with opportunities to celebrate any achievements children have made at home. When a child starts Nursery parents or carers sign and return the parent/carer user agreement. 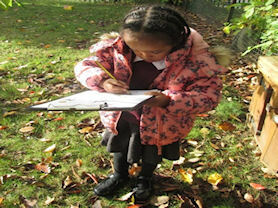 An autumn term workshop provides login details and support. Thinking and talking about Creation. 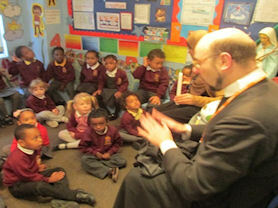 A visit from Fr Anton.